A belated nod to International Men’s Day (November 19) and a salute to Movember — a post about the mystery cult of Mithras. Its rituals were conducted in man-caves, included wing-men and were for men only! 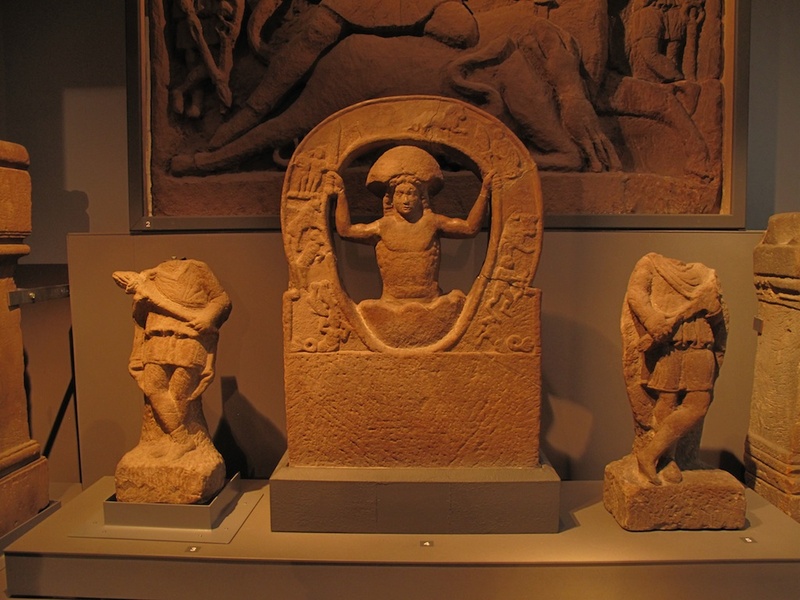 The cult of Mithras began in Persia and became popular among both soldiers and officers of the Roman army. According to legend Mithras was a sun god from heaven. Some traditions have him born from the living rock and others say he came from the Cosmic Egg. 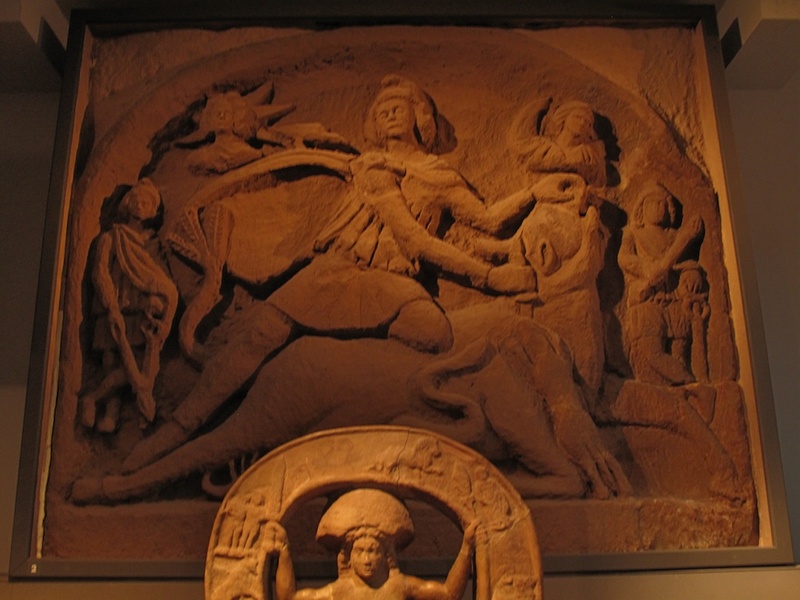 Mithras is said to have slayed the first creature on earth, a bull, and from its blood all life flowed. His temples were designed to resemble caves with a statue or relief of the scene of Mithras killing the bull (the scene is called the tauroctony) at the far end of the temple behind the altars. His companions, Cautes and Catopautes, stood at the entrance of the inner sanctum of the temples. On this vivid relief, notice the snake and the dog lapping up the bull’s blood, and hidden behind the cosmic egg, a scorpion pinches the bull’s testicles. Strange and mysterious imagery. 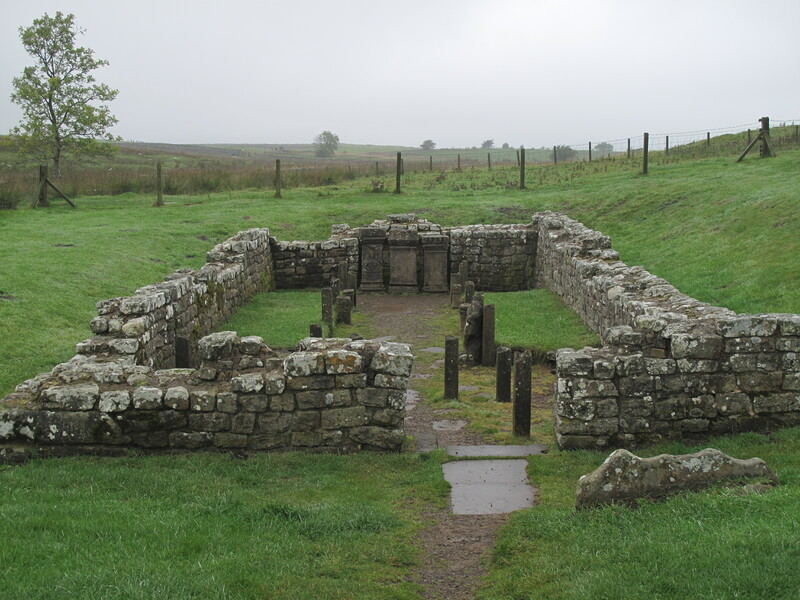 With many soldiers from around the Roman Empire posted to Britannia from AD 43 to AD 410, several temples have been found along Hadrian’s Wall. One at Housesteads (Vercovicium), one at Rudchester (Vindobala) and one at Carrawburgh (Procolita). The last is the best preserved and open for viewing. 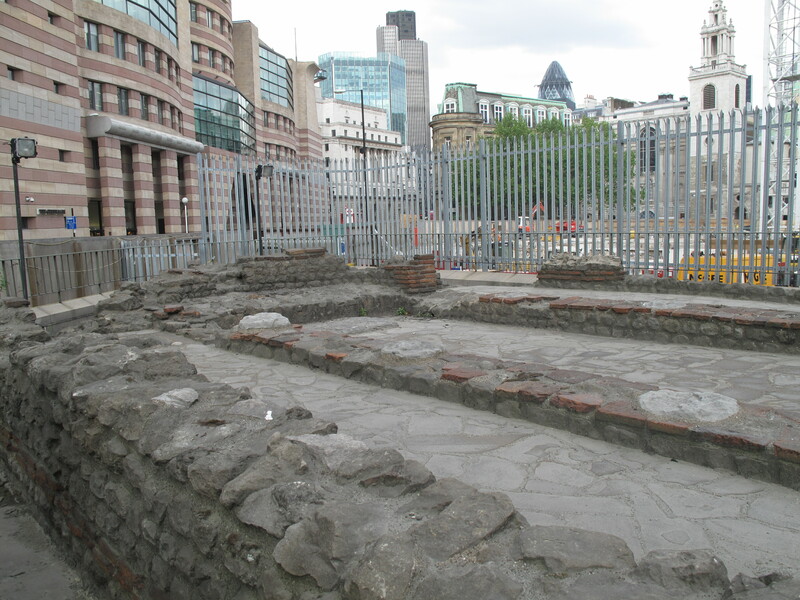 I also visited remains of a Mithraeum in London in 2011. It has since been moved and is not on display at present.